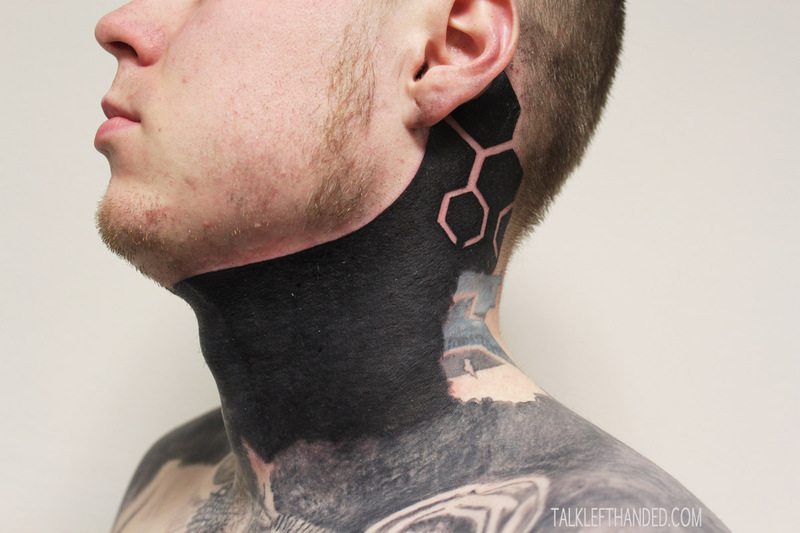 This entry was posted in 2012, blackwork, cover-up, freehand, neck, work in progress and tagged black ink, black tattoo, blackwork, drone, heavy black tattoo, large black, must tattoo, must tätoveering, solid black, solid black tattoo, suur must, trance. wauw never have seen a tattoo so deep black before. black as black should be. wish mine tats were so black. how many times did it get tattoed to get it that black? The photo is taken few minutes after finishing the tattooing, so it’s quite fresh actually. Got a little bit lighter shade after healing.